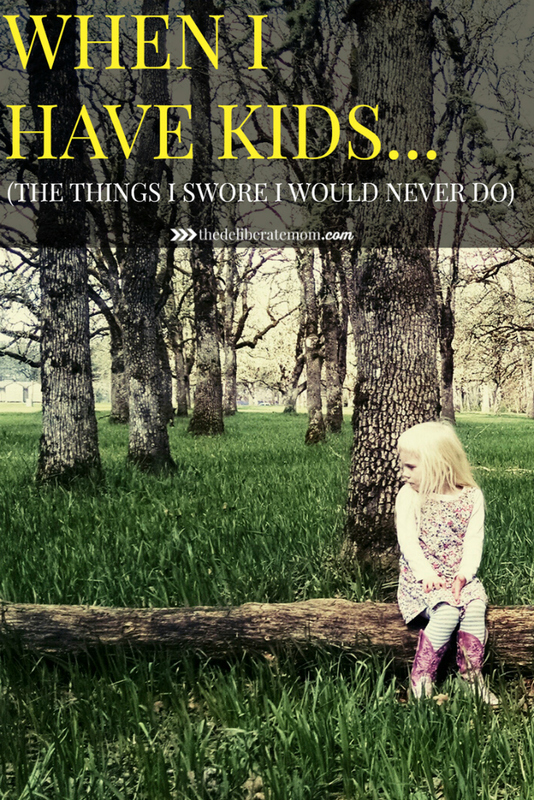 There are so many things that I swore I would never do when I had kids. Prior to having kids and knowing anything about it, I was very judgmental of parents. I worked at a daycare for a few years while I was pursuing my master’s and I remember always looking at the parents and thinking to myself or even talking to another one of my young friend employees about all the things I would not do like these parents were doing when I had my own kids. Boy was I totally wrong! Fast forward like 8 years later, here I am with a almost 3 year old and I don’t to this day remember all of the different things I had said that I would never do that when I had a kid, but I can tell you one thing that I remember very specifically that I am 100% guilty of and at the time I did not understand it and I did not get why parents would do this and how dare they! Their poor kids! Such a poor judgement on my part and that was really due to obviously never having a child and not knowing what it was like to never have time to yourself, ever. But it makes me think about the fact that being younger and having no children, you pass judgement on parents, especially if you work in the field of education, without even knowing what it is like to be at home 24/7/365 all the time with no break ever. I really look back on this moment and think about what a hypocrite that I am now because I will take Hailey to daycare whether I am off from work or not. I will either bring her in late if I am off or pick her up early, but I have realized that to keep her home with me with no other kids to play with, it is not the best learning experience for her all of the time. For instance, in the summer, as a teacher, I have off all summer long. But to keep her home all summer long with just me is kind of insane. She will have no kids to play with – I don’t have many friends that I can have play dates with and she will get bored! And of course I would go insane, but still, she wouldn’t have that much fun! I now see how hard it is also to get errands done with a child as well. I can’t leave the grocery store or Target without buying a toy for her – and she does not want a inexpensive toy, she wants a BIG toy! Then there is just to have time for yourself. 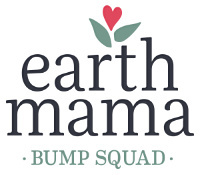 Sometimes even moms or dads need a break. So this is my big apology to the parents that during my youth I judged incredibly wrong. I know exactly why you did it and what it is like now! 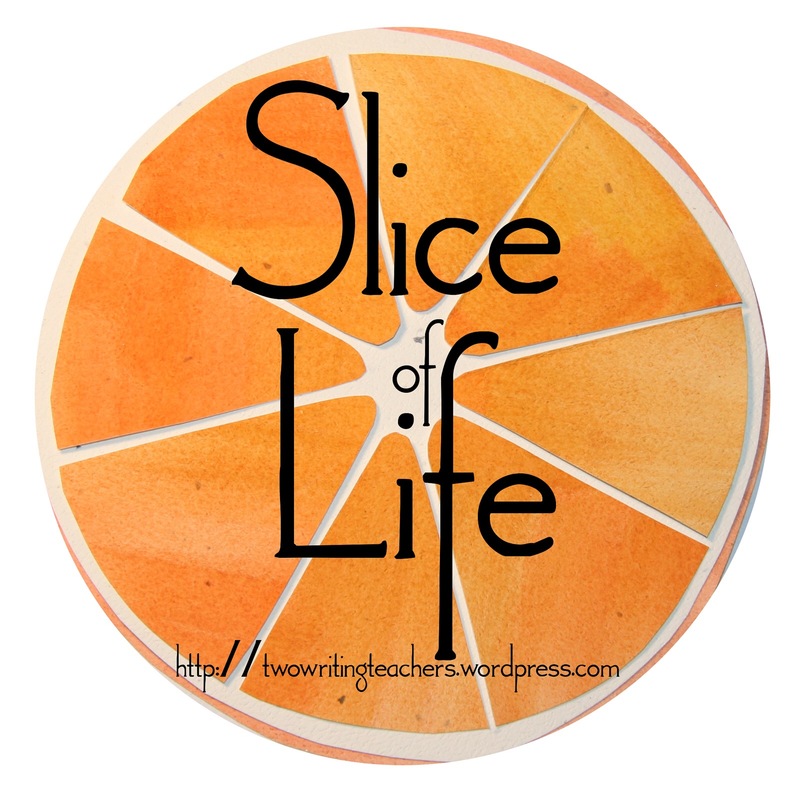 Want to join our Slice of Life Writing? Click on the link! Two Writing Teachers are the best! Good reflection. I often thought the same thing and then a little one came into my family. Boy do you ever get a wake-up call when they start walking, talking and taking up more of your energy then the hours of sleep when they were younger! Don’t feel bad for needing time on your own!! I currently work at a daycare where most of the parents leave their kids with me for up to 10 hours – they are still very loving and excited when they come to pick up their children 🙂 It can be hard when it becomes your personal experience though – loved getting s glimpse into your life. Yay you for being so honest and reflective. Raising kids a huge joy and overwhelming job. Enjoy and give yourself deserving breaks when you can! We can’t judge anyone until we have been in their shoes. It always surprised me when some midwives have never had children ?. I think everyone should do what makes them happy ? We all need our own space at times … Been there, too. I am guilty of judging too. Your writing is honest, funny, and easy to visualize! Thank you for sharing. My husband preaches at a church with a large college group. In my 30s I would set there and stew as they told me how the world of parenting worked and what they would and would not do as parents and how they couldn’t believe that parent let their kid do that, etc, etc, etc. Now in my 40s with no verbal filter I like say “Yes, oh wise parent who has raised so many children, please tell me of your experience.” A few giggle, some look ashamed, and others try to defend themselves… with theory. Which sends me into another lecture about how theory is worthless and means nothing. Omg I didn’t even think of that ! So true ! It is totally normal to feel that way when you don’t know what the other person is going through. My parenting changed quite a bit from my first child to my third child. I remember watching the Rosie O’Donnell show one time and she was talking about being at the mall before children and after children. Before children she would judge parents and criticize them for the way they handled misbehaving children in the mall. 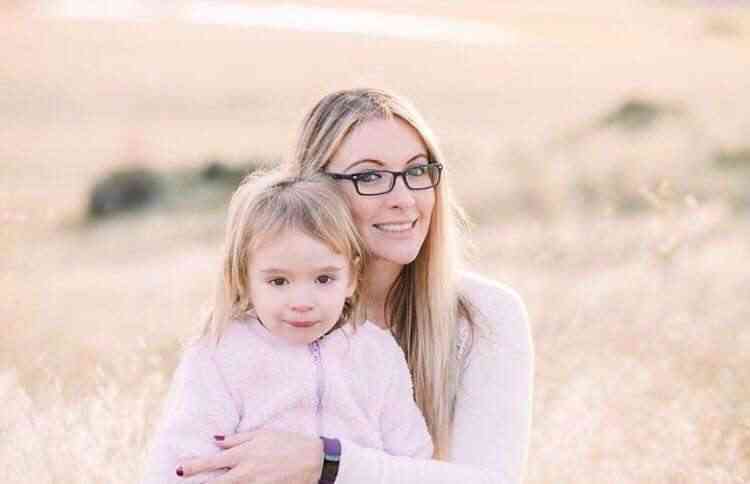 After having her own children she stated she totally understood what they were going through and even tried to help parents by stopping their “runaway child”. You are not alone! It’s so true !!! You see life through a different lense ! I think it is human nature to judge others based only on what we believe and experience. How things change when we start experiencing what others have. We view things in a whole new light.It is a cycle. Those who look at us and judge or criticize will understand and see things differently when they have gone through the same things we have. Agreed there is no preparation ! I can totally relate! I am a kindergarten teacher and I thought the same things. Like this kid is coughing up a lung why are they at school?? Or Why isn’t she wearing a jacket…it is 30 degrees out??!!. Then I had a daughter and she is now 2 and a half. I totally get now that when you work, you can’t stay home for every cough. No fever? Off to daycare you go…here’s some medicine:). You are already running late and your daughter is throwing a huge tantrum about wearing a jacket…well love and logic it is. Sad that she will be cold and hopefully then she will be ready to put on the jacket I shoved in her bag. Becoming a parent really opens your eyes and offers an extra much needed lens as a teacher. I did so much armchair parenting before I had kids of my own. Now that I’m a mom of two, I try not to judge others since I mess up on a daily basis! I know what you mean! I really had no idea what I was talking about during that time!